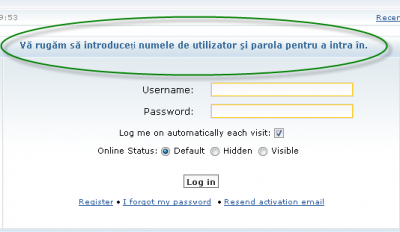 Old Translations :: Translating IP Into Romanian. Hi i need some help translating ip. Do i need to translate all the lang_ files or just lang_main.php ? Please list me the files that need to be translated. 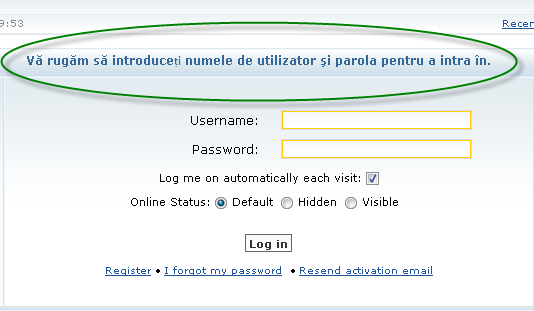 Re: Translating IP Into Romanian. The first one, you have to translate all language variables in all language files. damn... heh back to work then,I will post here when im done. I think it will finish it in 2 days or less. I think it will finish it in days or less. By enabling this option a link to each available language will be created on forum index, for quick language switching. well its not working neither in dynamic block menu. what can i do , i didnt cheked templates/default/nav_quick_link.tpl maybe this could be the problem? You don't have to check/modify anything for using your new language, you can simply use another language that exist replacing all lang file with yours or just create a new language directory called "lang_romanian". i did that already,but i dint made my self clear ,sorry what i ment to do was to allow users,adms etc to change language, not only guests. i did that already,but i dint made my clear sorry what i ment to do was to allow users,adms etc to change language, not only guests. remember, that there is a translation for 1.2.0.27 IP version. You can use this for IP 1.3. So you don´t have to translate everything from Zero. Maybe you have done it that way. in our language these are caled (diacritice) diacritics and i saw ip cant show them. is there any way to change the overall encoding of the site? did you traied Special Characters ? if you want to write "LoŢ"
yes,but not all of them are writen like that some are like this 1 above. you ve just copied the code i posted and worked?